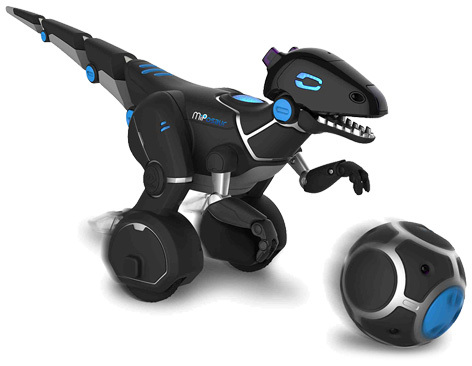 WowWee are the masters of creating great robotic toys and have done it again with MiPosaur. This incredible dinosaur model can be controlled from a smart phone app as well as by your hands. Run, battle or hunt, the choice is yours. GestureSense technology enables owners to pass their hands over various sensors on MiPosaur’s body. He will then come alive and react to your movements. An interactive TrackBall is included in each set that can activate basic instincts like feed, chase and guard modes. Cutting edge technology is employed in this fantastic toy. It’s worth checking out other WowWee products like RobsapienX and Roboraptor X. All of these incredible products can give hours of play value to older kids and young adults. Please tell us what you think of the MiPosaur by Trends UK and WowWee.